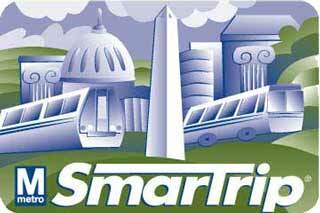 The Washington Metropolitan Area Transit Authority (WMATA) has introduced a new autoload feature that will let commuters load money on their SmarTrip cards automatically, according to The Washington Examiner. Approximately 30,000 Metro riders have received the invite to help the transit agency test the new feature which can automatically replenish the plastic farecards if the total on the card drops below a set dollar amount. If the total on the card drops below that level, the transit agency will automatically bill the riders’ credit card or debit card to add an amount of money determined by the rider. For Metro, the autoload feature provides a more consistent stream of money as riders have money automatically added to their accounts. The autoload feature compliments the agency’s campaign push to encourage more riders to use the plastic farecards instead of paper cards. The agency added a $1-per-trip surcharge on every rail trip made using a paper fare card, and has also dropped the cost of SmarTrip cards from $5 to $2 after giving a $3 rebate when riders register their cards.